I don't know about you, but I love to read for a while most nights before I go to sleep. One of my favourite things in the world is to snuggle up in bed with umpteen pillows and something to read. So of course, it's important to have a good selection of reading material handy to suit whatever mood I might be in on a given night. 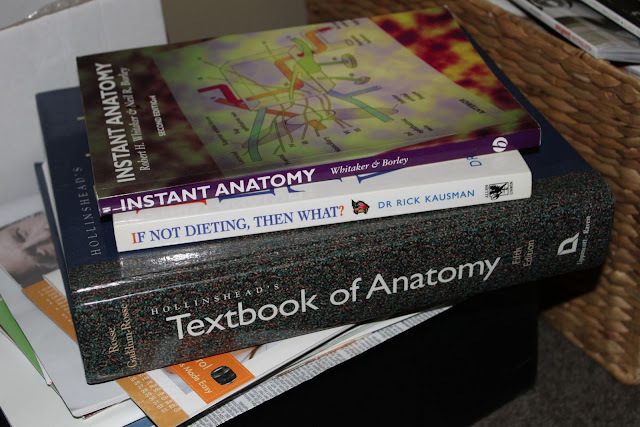 Sometimes I want a great piece of fiction, sometimes I'm desperate to learn more about nutrition, anatomy, or the current fads in fitness, sometimes I want to brush up on something technical, and sometimes I feel like just flicking through a few magazines. 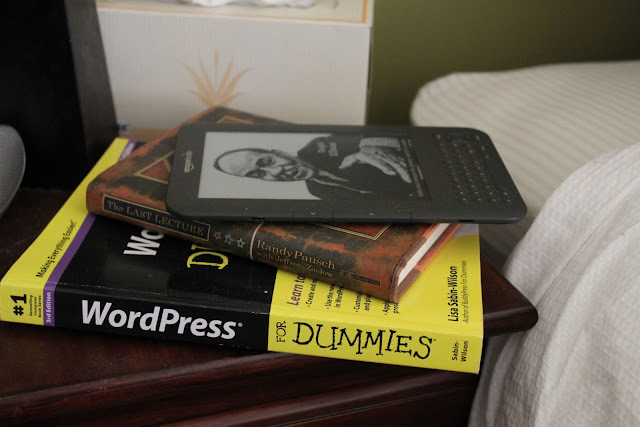 Wordpress for Dummies (I'm so glad I bought this one - my recipe blog might still be languishing in limbo somewhere without it); one of my favourite inspirational reads: Randy Pausch's The Last Lecture; and of course my trusty Kindle , which currently has 40+ titles loaded. Hey, I like to have plenty of choice. Right now, I'm reading the electronic version of High Fidelity. 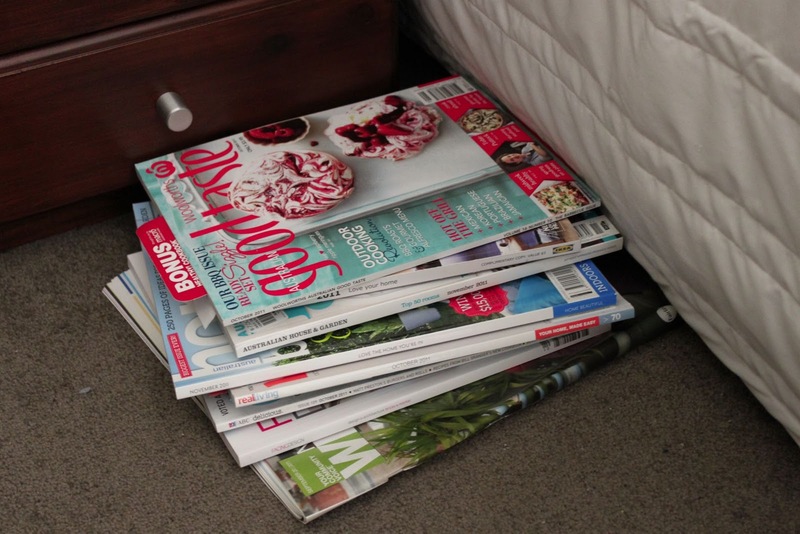 These are mostly homemaker mags plus a few recipe titles. Home Beautiful, Real Living, Good Taste, Delicious, Better Homes & Gardens. 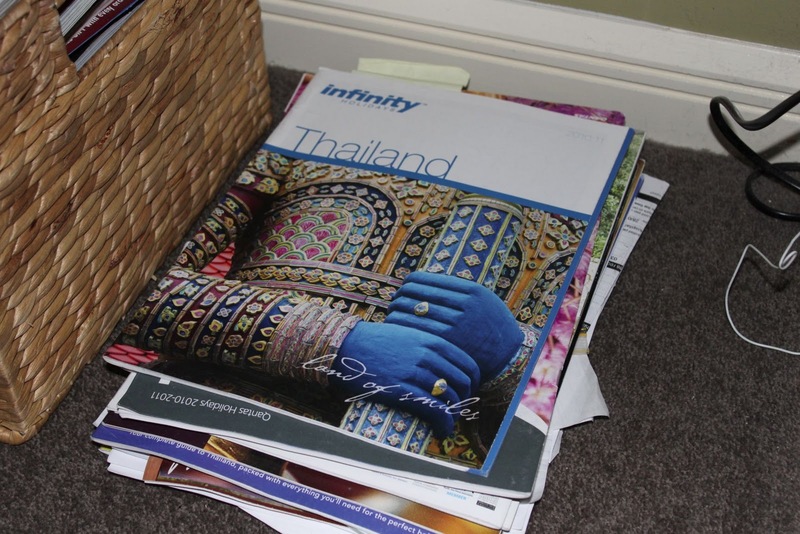 And there seems to be an IKEA catalogue and the local real estate publication amongst them. Who doesn't plan their shopping expeditions and keep an eye on house prices in the neighbourhood, from the comfort of their bed? Hmm? 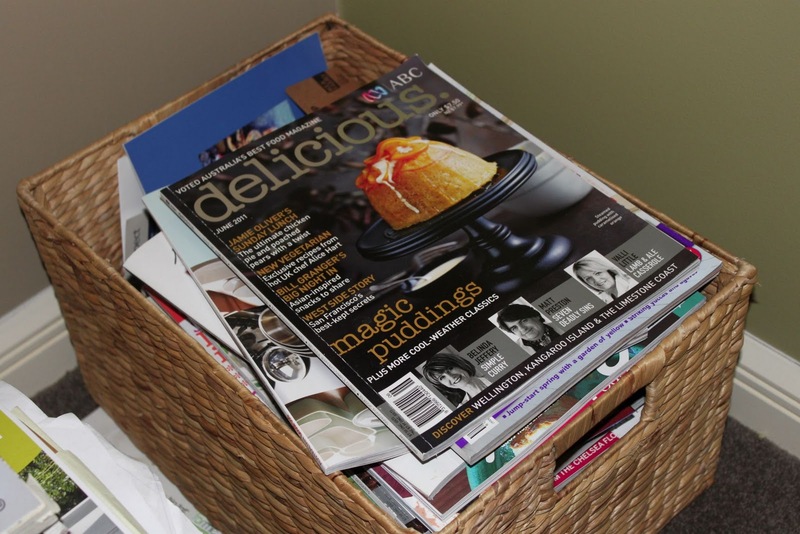 In the corner next to my bedside table, I have this basket full of magazines. More food and home mags, plus the odd fitness mag. Although I'm a bit over the available options in that genre at the moment, so I rarely buy any these days. Do you prefer to be entertained or educated, or are you like me and swing from one to the other, depending on the moment? I'd love to see what others are reading - if you have a blog, how about posting some photos? Or just leave me a comment. I'm always on the lookout for new titles, even if I do have enough at the moment to keep me going until approximately 2013. Kerryn, I love love love and need need need to read at bedtime to switch off before I can sleep. But 99% of the time I choose mindless drivel. Right now I'm nearly through French Women Dont Get Fat and will have some priceless advice to pass on from this gem shortly. I read the sequel, and can't say I'm a fan - way too preachy and "my way is the only way" for my liking. Especially the crap about how stupid exercise is... I wanted to give the author a damn good slapping. Errr I found her advice on exercise laughable as well. There were a couple of priceless snippets of (???) advice that made me cringe, then laugh too. I have no time for reading in bed 'cause I'm too busy sleeping. I find that if I do try to read in bed I can not get comfortable.